Not to be confused with modern knockoffs! 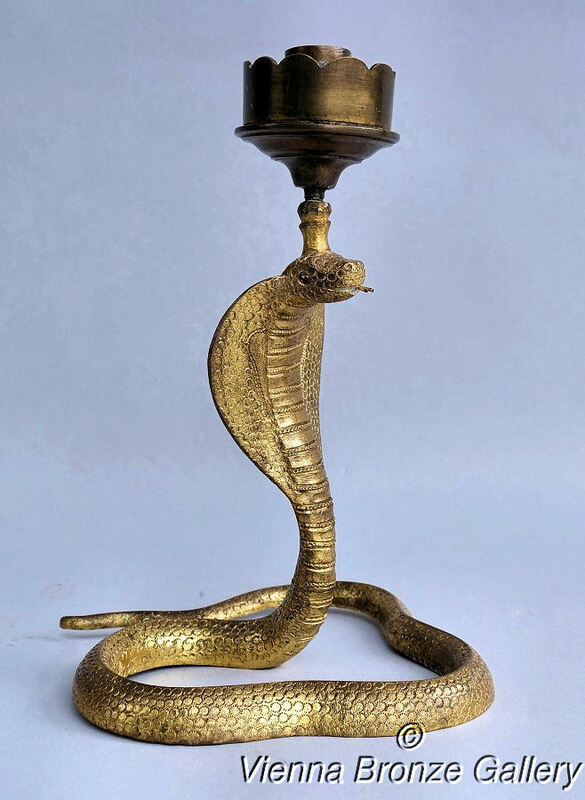 A beautiful sculpture of a Cobra, which serves as a Candleholder. 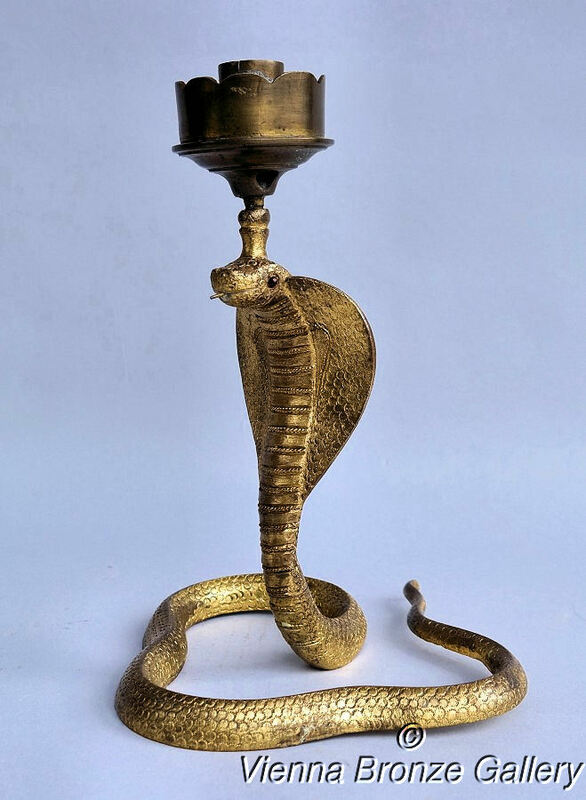 Here we have an attractive object with lots of detail. The eyes are red, probably glass. 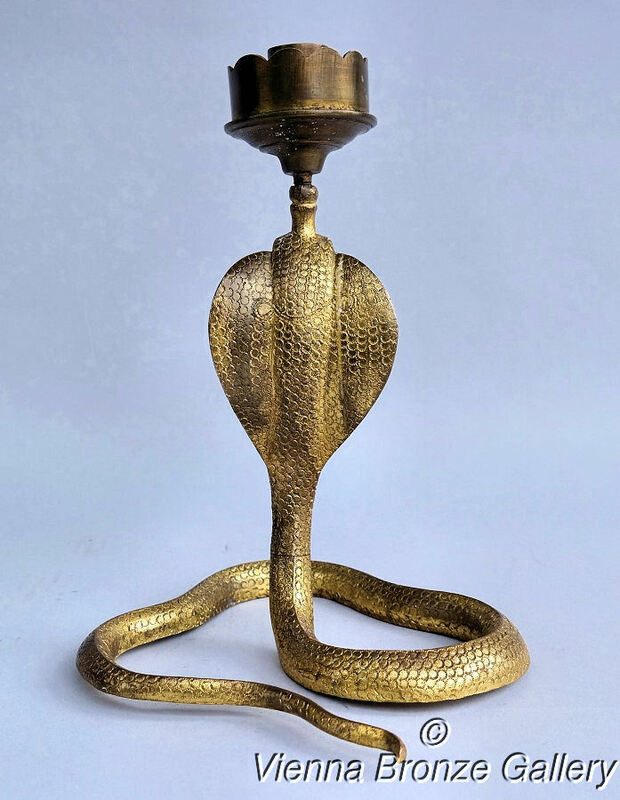 At times you find similar ones that are cheap reproductions and if you take a close look you figure out that the upper part (the actual candle holder) looks always different and also the skin of the snake. They added some Oriental ornaments. Click here for an example. They dare to offer it for $ 850! 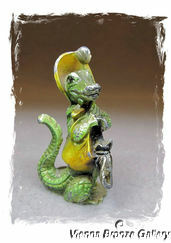 Scroll down for other reptiles we offer on our website. ca. 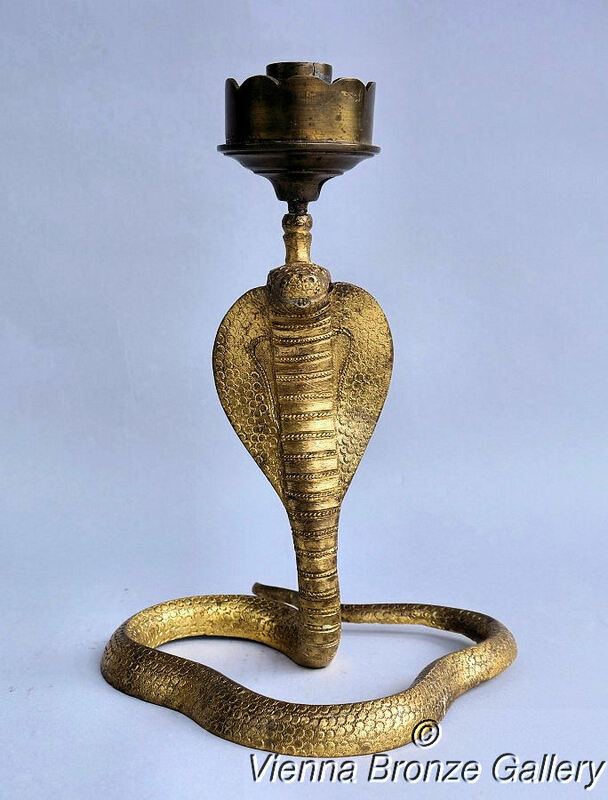 8 7/8 “ (22.5 cm) tall, 6 1/4 “ (16 cm) wide and 7 “ (18 cm) deep. Good with an aged patina. No repairs, no damages. Please do not forget that you are buying a used item that always may show some traces of wear!